← Should you buy UFC Fight Pass? 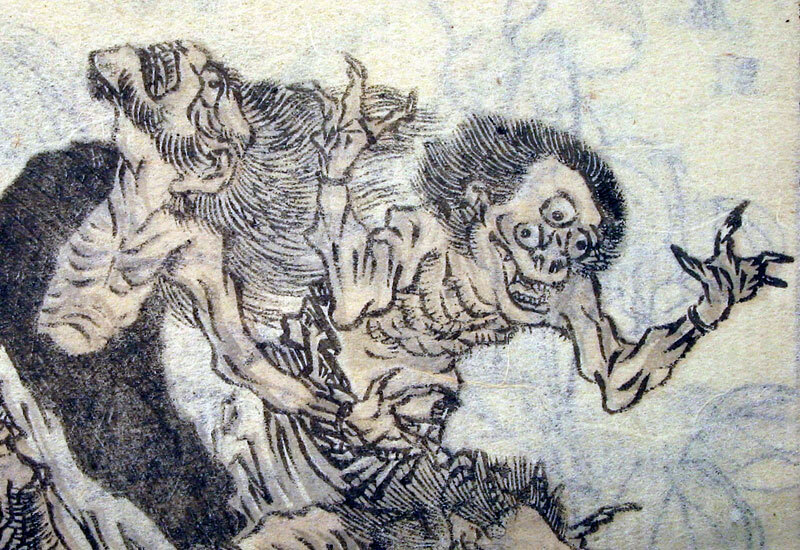 Oni are demons recounted in Japanese folklore. Can we fight them, or must we hide in fear? After training alone in my home dojo this week, I recognized that without consistent practice in kata, I would probably go crazy. It is a wonderful gift passed down from generation and generation: intricate movements worth mastering that provide self-defense and self-expression. The focus and discipline honed by performing kata and the catharsis enabled by hard physical and mental training has made me who I am today. It seems that not many athletes or fighters from other disciplines understand this. I wrote this poem in honor of my teachers who have given me the skills to protect not only my body, but also my mind and spirit. I hope to pass along the invaluable lessons I have learned. Remember that even though we sometimes practice fighting invisible opponents, it doesn’t mean they’re imaginary . . . Some people think the fighting’s real. Others laugh while I dance in my pajamas. foes circling, grinning, bearing teeth. Sometimes, without this ritual, I am weak. I turn away. Cry out and cover my face. I am devoured by their past and present adversity. Without any real arms, I fight. but it’s what keeps me alive and free. And that’s what you can’t see. This entry was posted in Inspirational, Karate and tagged karate, martial arts, oni, poetry. Bookmark the permalink.